Need Quality water filters? 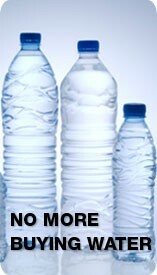 Looking for a Water filtration solution? With more than 30 years’ experience Clean & Clear Water filters, can provide the perfect filtration solutions for your home, school or workplace. Because we buy direct from the manufactures, we can provide the perfect, most reliable product at the very best price – guaranteed. At Clean & Clear, we strive to stay as the top provider of high-quality and innovative water filters in Sydney.We offer a comprehensive range of products, each with an impressive set of features to effectively eliminate practically all impurities found in tap water. Other than making sure the water you drink is safe, our units successfully remove unwanted tastes and odours for a pleasurable drinking experience. We take pride in the science behind our products to cater to your unique requirements. We use the most advanced purification processes to ensure every drop of liquid you drink is great-tasting and free of harmful elements. We order parts only from the most reputable manufacturers across the globe to develop innovative Sydney water filters to optimum standards. After all these years, the high level of service we deliver remains one of our strongest suits. We perform any type of job you may require to keep your system working in excellent condition at all times. From installation to cartridge replacements, our team is just one call away to get the job done in exceptional fashion. Even if your system is of a different brand, you can rely on our proven expertise to put a permanent fix on your water filter in Sydney. Explore our site for more about our outstanding solutions. Contact us today for enquiries.